We traveled to the event on Easter Sunday which had a mixture of weather but as promised there was plenty to see, photograph and ride on. A beer festival at the pub in Winton provided a new location to photograph. Here are a couple of shots showing a happy looking David climbing from the cab of RML 2686. David drove both visiting Routemasters on the Sunday. 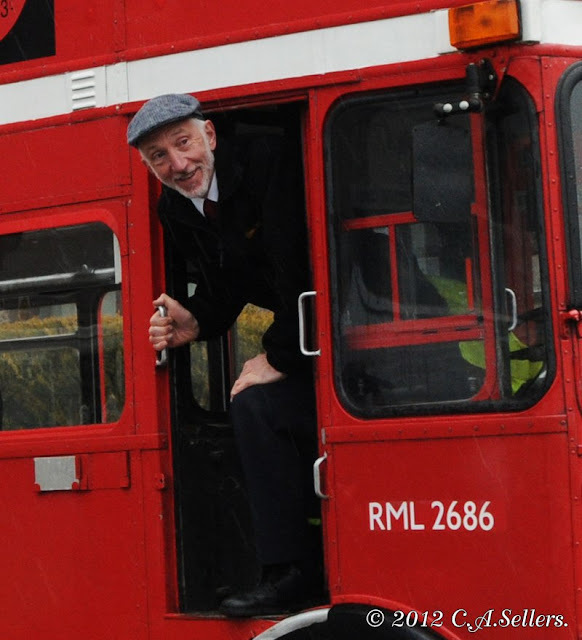 David climbs from the cab of RML 2686 at a damp Brough.